What you don’t know could kill you. This article is going to highlight several effective naturopathic remedies to assist in the removal of radiation from the human body. ReadyNutrition Readers, this article is going to highlight several effective naturopathic remedies to assist in the removal of radiation from the human body. The information can be used if you are undergoing any treatments that have radiation therapy attached to them, such as chemotherapy, and can also be taken into consideration for preparation and survival. We have Fukushima that is an ongoing release of radiation into the Pacific Ocean, and we also have a world situation where the nations are poised on the brink of thermonuclear war. Knowing what to do when this type of disaster occurs can save your life and those around you. The most important point to go from here is to educate yourself on what happens when a nuke is dropped. 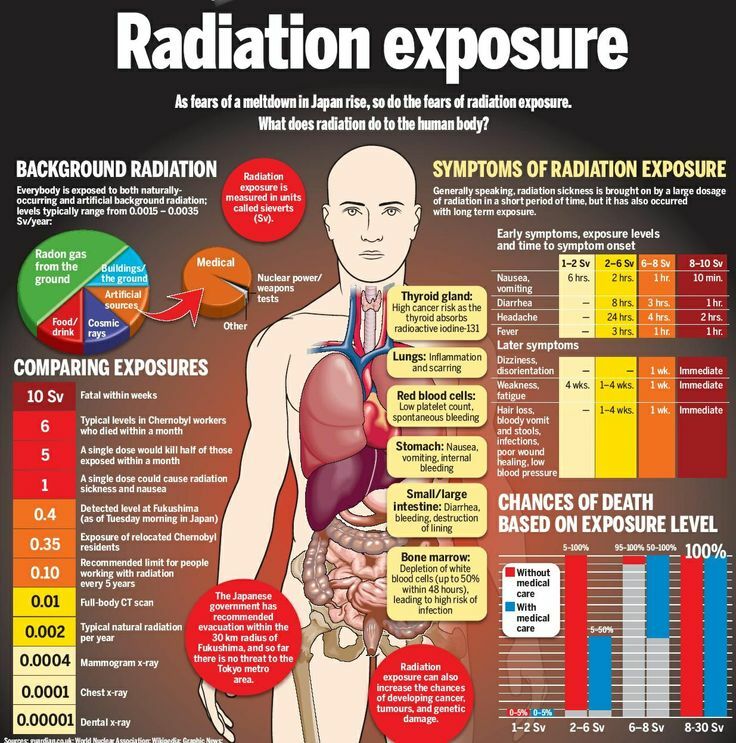 Radiation affects the tissues and leads to cancer risks with long-term exposure. For a really good expose on it, read Cresson Kearney’s “Nuclear War Survival Skills” series of information articles that give many different ways to protect against it. The information is free and downloadable from the internet. In this type of emergency, it is paramount that you understand the differences in radiation exposure. Contamination – This is usually unintended contact from radioactive material such as dust or liquid. This type of exposure may be internal or external, but nevertheless, causes poisoning to the body. Irradiation – This is the process by which an object is exposed to radiation, but not radioactive material. This usually occurs with x-ray machines, cancer treatments and blood transfusions. That said, the exposure can originate from various sources, including natural sources. Irradiation can involve the whole body, which, if the dose is high enough, can result in systemic symptoms and radiation syndromes or a small part of the body (i.e., from radiation therapy), which can result in local effects. Now we’re going to outline some aids you can use. Having these essential supplements on hand will assist in helping the body prevent the absorption of radiation. As well, it is recommended that each family member have a bottle each of these natural supplements stored. Calcium and Magnesium: these minerals combat the uptake of Strontium 90 by over 90% when taken. Studies were conducted by Dr. Linus Pauling showing how the calcium blocks the uptake of this dangerous radioisotope. Zeolite Clay: also combats Strontium 90 as well as Cesium 137, another dangerous radioactive isotope. It was used effectively for victims of Chernobyl. Zeolites attach themselves to radiation and remove it at the cellular level. The U.S. military uses Zeolite clay to line the floors of its weapons arsenals to help protect against radiation. The clay can be taken (ingested) internally to remove radiation. Activated Charcoal: reduces radiation by neutralizing it. The ratio of reduction is 10 grams of activated charcoal will reduce 7 grams of toxic substance. You already are aware of how important activated charcoal is regarding water purification; now you can add this medicinal use to your preparation supplies. Bee Pollen: can drastically reduce the harmful side effects of radiation exposure. This is beneficial to those undergoing chemotherapy. The side effects such as that of radium, x-rays and cobalt-60 radiotherapy can be buffered against with the bee pollen. Bee pollen intake is a natural method of boosting vital functions, such as red and white blood cell and antibody production. These functions are hampered by radiation, be it an uncontrolled release or a controlled therapy. Oils: Extra virgin olive oil, coconut oil, and hemp oil can remove radiation. Studies have shown that the lipids in these oils (and other oils as well) bind to toxins, as well as strengthening cellular membranes. Various studies agree that if you have been exposed, drinking 4 ounces of oil can neutralize the toxins and help pull the radiation out of your system, as well as strengthening your cellular tissues. Chlorella: is a single-celled green algae that is extremely useful in detoxification of tissues; it can be used concurrently with the other aids mentioned for the removal of radiation from your system. 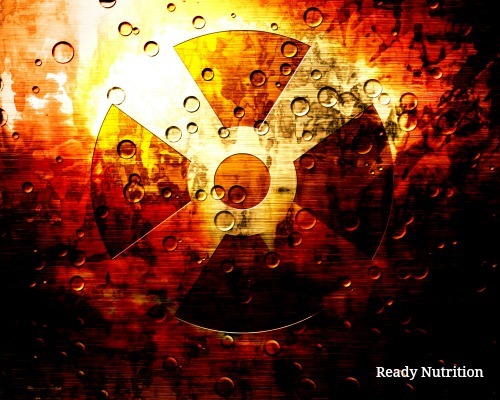 Iodine tablets: use those approved specifically for a nuclear disaster/exposure to radiation. The way they work is that they are taken up by the Thyroid gland, and in essence “crowd” the gland…blocking further uptake from the deadly forms of radioactive iodine (the harmful isotopes) found in a nuclear blast/nuclear accident. As with all things, consult with your physician prior to utilizing any of these supplements, especially the calcium and magnesium. Many heart patients use things such as calcium channel blockers and the like. Too much calcium or any mineral can potentially upset the delicate balance in their system. Check with the physician to find out about any potential problems or contraindications prior to utilizing the information in this article. The information is presented for informational purposes only, and does not intend to diagnose, treat, or prescribe any cure or action. Even if these seven mentioned materials are not used on a daily basis, it cannot hurt you to have them in your disaster supplies. The time to obtain such materials is, of course, before an event occurs. Familiarize yourself with the manufacturer’s recommendations and know how to use each material. Have a great day, and keep up the good work with your preps and supplies. JJ out! Advanced Tactical Gas Mask – Are You Ready for a Biological, Nuclear or Chemical Attack? I’d add astaxanthin to the list. Spirulina if it’s grown in an area that doesn’t have fallout. Many of us survive on mucous-rich foods, like Chicken. Few realize the actual function of this menacing substance, right up to the point of a bacterial or viral breakdown. Kleenex will keep your nose from chafing, but you have to ask, what makes this stuff so caustic and sticky? It’s job is to purge oxidized materials and encapsulate harmful toxins. Spit it out as often as possible. The mere fact that it appears in your mouth indicates that it has reached semi-saturation and needs to be expelled. This is commonplace western social conditioning. For me, quitting smoking coupled with the act of undergoing a simple three day fast completely changed all of my beliefs about health, healthy eating and nutritional amendments. Though correlated, these are not the same. very heavy in toxic metals. Your body will excrete any iodine that is not absorbed, so overdosing is not possible. I started out at 100mg/day and it was fine. It’s very important to supplement with magnesium, vitamin c and selenium as well as salt loading to help with detox, which can be quite intense. The main elements getting detoxed are fluoride and bromine, which are receptor competitors for iodine. The main receptors are glands, mainly the thyroid. Just about all thyroid problems, including Hashimoto’s are caused by iodine deficiency. I am not familiar with the research regarding oil ingestion as a way of decreasing radiation absorption. I am, however, familiar with diagnosing gallbladder disease. If a person has an inkling that they may have a predisposition to it, drinking 4 oz of oil would almost certainly exacerbate any gallbladder issue. At the very least, have copious amounts of sanitation supplies for the resultant nausea, vomiting, and possible diarrhea, as well as pain medication and maybe antibiotics. Whether to risk it depends on the situation, I suppose.